Our product range includes a wide range of mop trolley, stainless steel trolley, stainless steel cage trolley and stainless steel lockers. Our customers can avail from us a broad assortment of high-quality MOP Trolley at nominal prices. The offered range of MOP trolleys is designed & developed by our experts using high premium quality steel and allied metals, which is sourced from the most trusted vendors of the market. 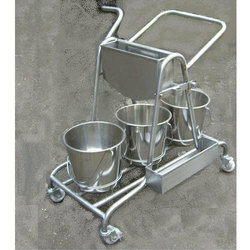 These MOP trolleys are commonly used for the cleaning purpose in hospitals, offices and allied places. We are manufacturer and supplier of ss double shelf trolley. Our organization is a trusted name of the industry, which is engaged in manufacturing and supplying a comprehensive array of premium grade Stainless Steel Cage Trolley. We manufacture offered the range of cage trolleys using superior-grade steel, which is obtained from the reputed vendors of the market. 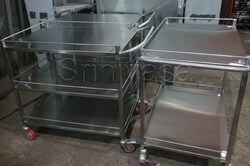 Further, our offered range of cage trolleys is commonly used in the hospitals for keeping medicines. Owing to our safe & sound infrastructure facility, we are manufacturing and supplying a wide range of high-quality Stainless Steel Lockers. 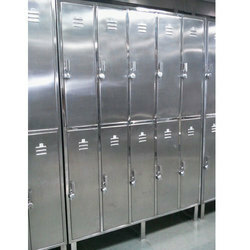 These lockers are manufactured by our experts using premium quality stainless steel, which is obtained from the certified vendors of the market. 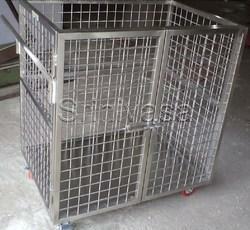 The offered range of steel lockers is commonly used in the offices and allied places for keeping documents and files.